Aimed at business professionals, this model of Lenovo Ideapad 320 laptop carries decent tech specs and provides outstanding performance. Here's our Lenovo Ideapad 320 review. 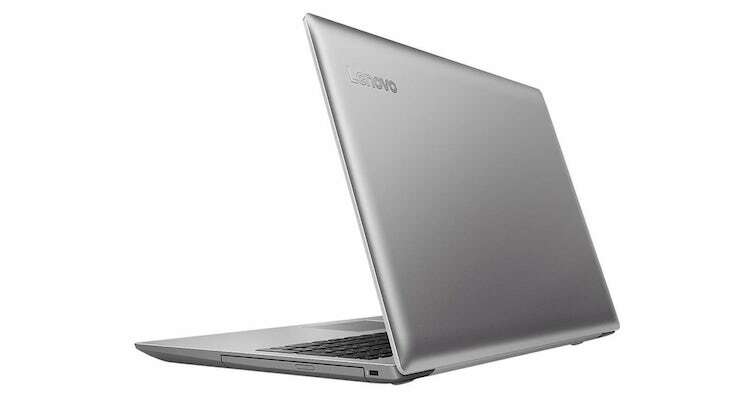 Chinese tech-giant Lenovo has recently added new laptops to its popular Ideapad business laptops series. The all-new Ideapad 320 boasts Intel’s Core i7 processor and 12GB RAM along with 256GB SSD and 2GB Nvidia graphics. 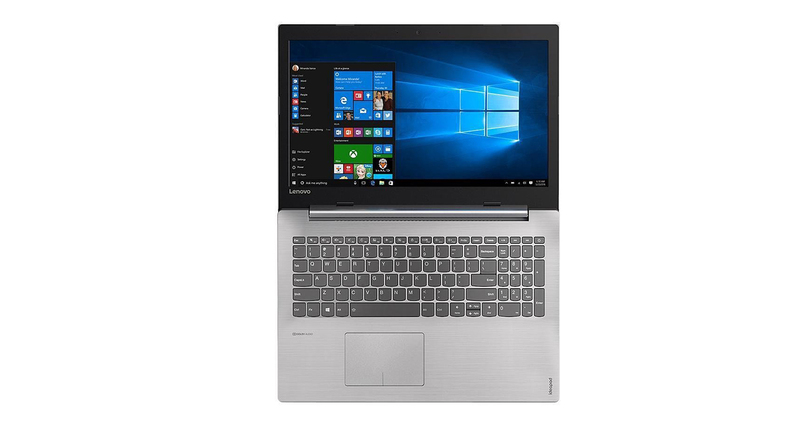 Priced around $750, this Lenovo laptop is one of the best Windows 10 laptops aimed at business and professional users. Lenovo Ideapad 320 business laptop is all but a stylish, attractive piece of hardware. It’s not really an eye-candy and being a business-oriented laptop, Lenovo has probably skipped putting too much efforts in its looks. Those big bezels feel old-fashioned, especially around a 15.6-inch screen. Lenovo could really work here to make this Ideapad a sleek laptop – beginning with making those bezels a little narrower. 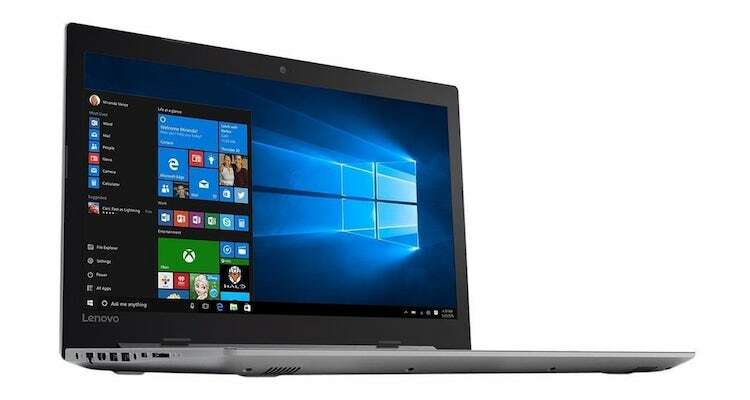 The platinum grey finish, however, gives this Lenovo laptop the feel it deserves. The color looks fantastic and it makes sure to fit in ‘business-class’ by not being too flashy. Its build is also something to take note of. Lenovo has provided this laptop with a durable body – ready to handle any day-to-day abuse in the office or while traveling. To make space for the DVD drive on the right-hand side, Lenovo has put all ports on the left. These ports include two USB 3.0 Type-A and one USB 3.0 Type-C ports, an HDMI port, a headphone/microphone combo jack, and a multimedia card reader. Having three USB 3.0 ports (and no USB 2.0 port) is a good idea – especially while laptop makers usually combine USB 2.0 ports along with 3.0 ports. The DVD drive – seems however useless to most – is aimed at professionals who regularly have to work with DVDs. This adds some weight to the laptop but there are users who will appreciate having the DVD drive. The trackpad works flawlessly and is easy to operate. The keyboard is pretty smooth at typing – but it can’t be said how comfortable will it feel while you do a lot of typing. It’s not a backlit keyboard – something that will disappoint some users. While its look and feel might not have anything special to talk about, the tech specs and performance is where this Ideapad 320 really shines. This model of Lenovo Ideapad 320 is powered by a 7th-generation Intel Core i7-7500U processor and 12GB of DDR4 RAM. With a 4M cache and turbo boost capability up to 3.5Ghz, the processor does its job very well even during power-hungry tasks. 12GB RAM provides a lot of room for multitasking and running apps that require a lot of memory. Together, the processor and RAM leaves nothing to complain about. The storage is provided by a 256GB SSD. The SSD provides this laptop with an additional performance boost. Booting up or shutting down is quick, apps launch within seconds and transferring large amount of data is a breeze – all thanks to the SSD. But this being a business laptop, 256GB storage isn’t going to be enough for most professionals. So carrying an external hard drive to store your important data will be a good idea. The 64-bit Home edition of Windows 10 works so smoothly that lag is hardly ever noticed. All this power comes alive on a 15.6-inch Full HD display at the native resolution of 1920 x 1080 pixels. The anti-glare display does its job very well and produces crisp visuals ideal for professional work. These graphics are enhanced by a 2GB dedicated Nvidia 940MX DDR5 graphics card which makes sure all your video-photo editing software and even high-def games run smoothly. The disappointment comes in the form of battery backup which is not more than 6 hours at its best. Being a laptop aimed at business use, this isn’t really a great backup but if you are going to use it primarily at a desk, you should be fine with it. This model of Lenovo Ideapad 320 is powered by 7th-generation Intel Core i7-7500U processor and 12GB DDR4 RAM. 256GB SSD storage is available while 2GB Nvidia 940MX graphics card is also present. Overall, this Lenovo laptop is a splendid combination of some nice tech specs and great performance. It has everything you might be expecting from a business laptop. With its sturdy build, decent tech specs and top-notch performance, this model of Lenovo Ideapad 320 laptop is priced at $759. Taking everything into consideration, this one is an impressive business laptop at this price. If you are a professional who needs a laptop with high-end tech specs and top-notch performance, this Ideapad 320 is for you. It can also be good for occasional gaming. 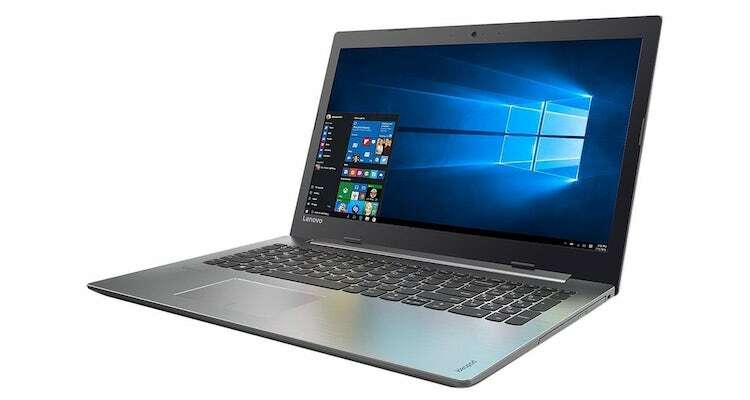 Buying Tip: If you are looking for a little-less powerful laptop, Lenovo Ideapad 320 80XL035WUS can be a good choice. Priced a little over $600, it carries the same processor but with 8GB RAM and 1TB HDD. A powerful Intel processor, loads of RAM, SSD storage, dedicated graphics and outstanding overall performance – this Lenovo 320 Ideapad laptop has everything you might be looking in a business laptop.